So you got a little bit of Christmas money and you want to buy yourself a book that will help you make art. 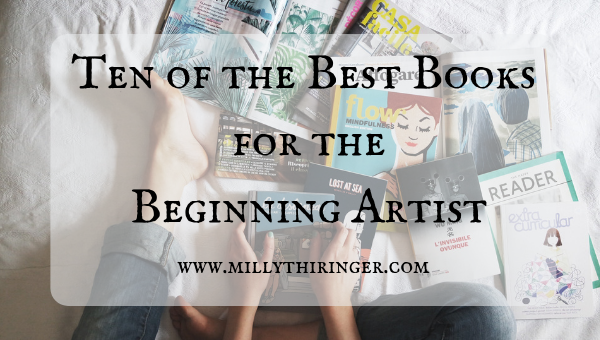 Here are ten books I read this year that I think are great choices for the just-getting-started artist. *This page may contain affiliate links. If you click through a link and make a purchase, I may make a small commission at no cost to you. Thanks for helping keep my website up and going! Oh, and you can read my full disclosure here. I enjoyed these so much I couldn’t resist sharing them. On to the books! 1. Art Before Breakfast: this is a pretty, colorful book in a handy size. As the name implies, this book will push you to draw something before breakfast every day, usually your breakfast. While I found drawing toast over and over again kinda uninteresting, I loved how the author built mini art theory lessons into each short exercise. This book is great for the ultra-beginner. 2. Steal Like an Artist: one of my favorites, Steal Like an Artist can be read in one sitting and will leave you both inspired and motivated. Every time I read it I get excited to go work on something. 3. Art, Inc: this is for the business side of art-making. Congdon does a great job of breaking down what it takes to make a living as an artist based on several different goals. She has lots of interviews, and focuses her sections on making art and also selling it, but takes into account that there isn’t just one path that works for everyone. 4. The War of Art: if you need to break past internal resistance, artist’s or writer’s block, or those feelings of not being good enough, this book is for you. It’s philosophical and also very funny. 5. Daily Rituals: I loved reading about the rituals and habits of all these different writers and artists. It made me notice the things that I do habitually and assess whether they are working for me or need to change. 7. Using Curse Words: this isn’t specifically a book about art, though Fiacco does talk a lot about art in it. This is one of those “kick you in the pants and help you change your life,” kind of books. So if your life isn’t what you want it to be, or you aren’t creating the art you wish you were, read this book. 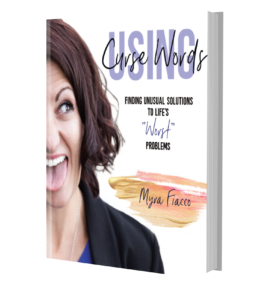 It’s not for wimps though, for the sake of helping you change what you don’t like about your life, Fiacco calls you out on stuff you’re probably not taking responsibility for. But she also has a cheerleader, “can-do” attitude that helps balance out the harder to swallow pieces. 8. The Journal as Art: This is a gorgeous book and what I love about it the most is that it shows the very everyday ways that people use their journals. These are people who make a living with their art or their designs, and their journals are so accessible. They look like something anyone could make, and they are! 9. Visual Chronicles: I’m working through this one right now, and even though the writing isn’t that awesome (The two sisters write in the first person plural, which makes it seem like they are one person, though clearly they’re not. I find that annoying. ), the ideas are very useful. Like, make-art-journaling-on-ten-minutes-a-day-accessible kind of useful. I’m really enjoying this one. 10. The Accidental Creative: Okay, full disclosure, this one is on my TBR list; I haven’t actually read it yet. But it looks awesome. I mean, who doesn’t want to be brilliant at a moment’s notice? So that’s it! Ten books for the beginning artist. Did I miss any? What are your favorites? Let me know in the comments!